For the sake of clarity in this document, the word “class” (or “classes”) refers to both group and private dance instruction. Also, the word “student” may be used interchangeably with the personal pronoun “you”, referring to the adult and/or child student(s). Withdrawal from classes requires at least two weeks written notice. Upon time of notification, your ledger will be reviewed and you will be notified of any tuition owed or credit due. We ask that all payments be made through our calendar and payment system, ClassMate, and set to auto-pay to avoid an interruption of service. All account owners are responsible for keeping payment method on file. If you have not received the link to claim your account in our system, please contact us. We use forming lists to monitor the demand for a class that does not have enough students interested for it to start. As soon as we have enough students (usually defined as one more than the minimum required for the class to run), then we contact the interested families and confirm they are still interested. If all families on the forming list confirm their continued interest in taking the class, then we book it to start at the earliest convenient date. Here is the definitive list of expected company closures throughout the year. Note that when a single-day holiday falls on a Saturday or Sunday, then the subsequent Monday is generally observed as the holiday. Tuition is the means by which a student has their spot reserved for 3–5 meetings of their enrollment in an individual class type in a given month, and is charged at the same rate regardless of how many times that class meets in that month. Tuition is due in full on the 1st of each month and is considered late after the 10th, at which point a $15 late fee will be incurred. In the event that we hold fewer or more than the allotted number of classes in a month, tuition will be prorated accordingly at 1/4 of the monthly rate for each meeting, whether attended or not. We accept debit or credit cards (Visa or MasterCard), cash, or check. Automatic payments will be charged at the beginning of each month. You will be notified of other charges (e.g. performance fees, costume fees, etc.) and given the opportunity to opt-out before your card is automatically charged. All payments by check should be made out to “Soaring Spirit Dance”. If a non-sufficient funds error occurs when attempting to process a payment, a $20 fee will be incurred. We strongly encourage families to keep their children at home when they show any symptoms of illness. A class can be made up within a 30 day period from the missed class if we are notified in writing within 24 hours. At least 2 weeks notice is required for enrollment changes and long-term absences of 3 weeks or more. Refunds and credits are typically only issued when a class is discontinued. 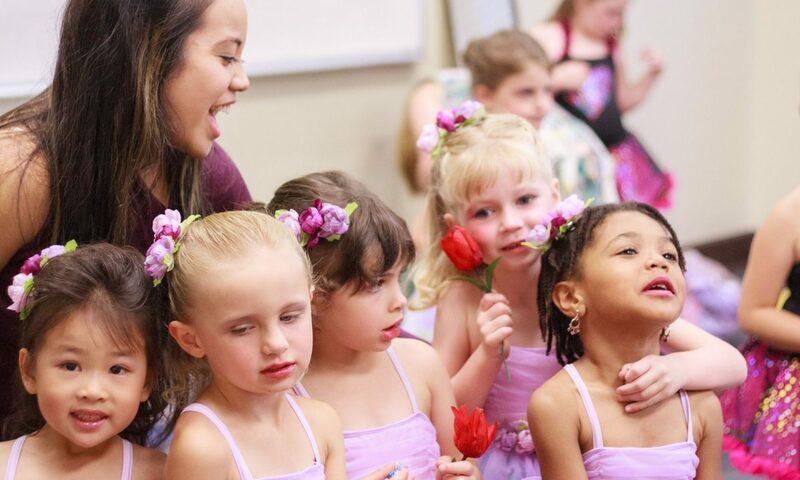 By default, all refunds will be issued as account credits which can be applied toward other classes at Soaring Spirit Dance, or for music instruction at our sister company, The Music Place. Account holders will be notified about recital schedules as they become available. Costumes will be modest. The studio will be handling placing orders and sending home costumes. Please call the office or fill out this form to inquire about our parent work exchange program. We want to help!